Are you looking for a great meal that will really stretch to feed a family and stretch those dollars? 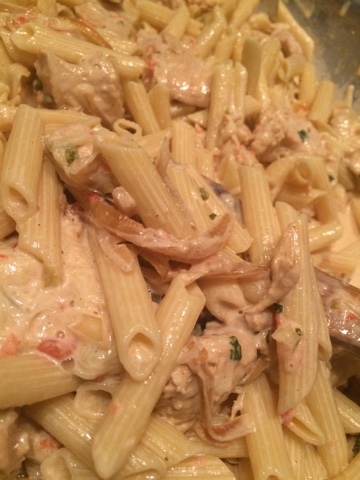 Ragin Cajun Chicken Pasta will do it. 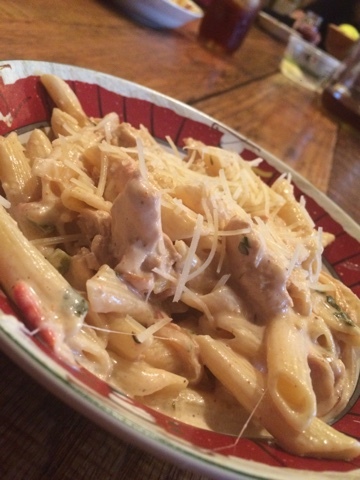 What's a life saver with this meal is that it used 3 smallish chicken breasts, cut into strips, to feed my big eating family of 6... with some leftovers. The first thing I had to do was make up some cajun seasoning. Store this in a small jar with a lid and label it! 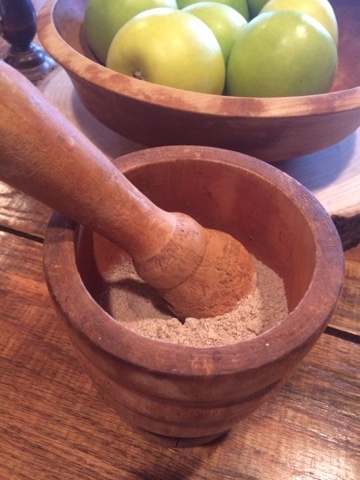 You will be ready any time your dish may need a little zest! Begin by slicing up your chicken and toss into a pan with melted butter. Do the same with your onions. 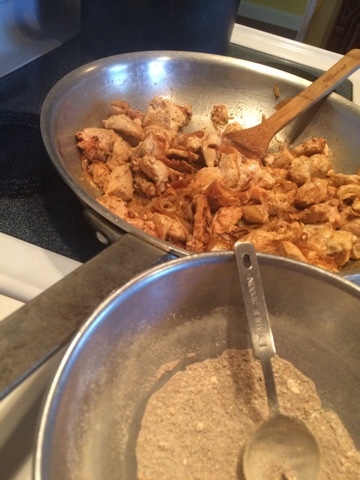 Sprinkle the chicken and onions with cajun seasoning. Meanwhile boil your salted water for pasta. 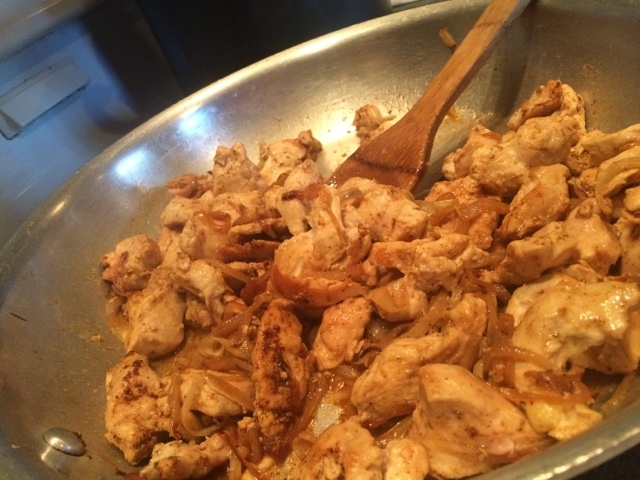 Once your chicken is done, reduce heat and add salsa and cream and chopped garlic. Let the sauce thicken while noodles boil. 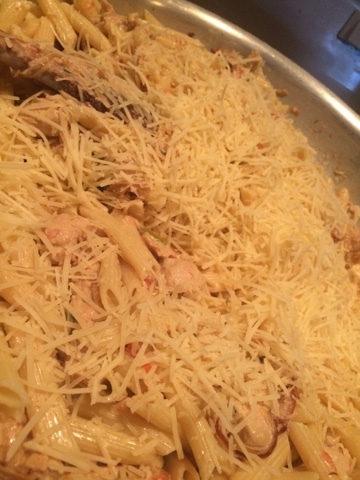 Once noodles are ready mix all together in pan and add parmesan cheese and serve.